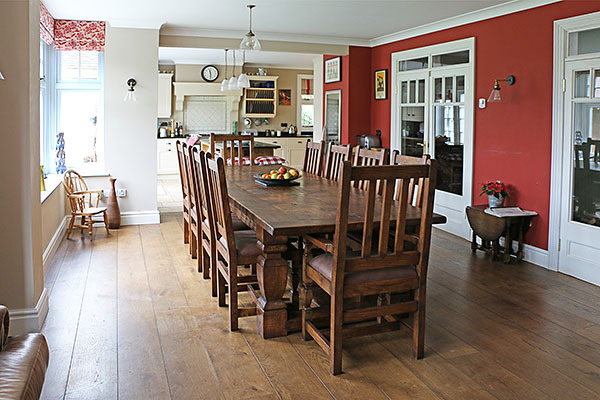 Heavy oak dining table, with square cut baluster legs, and matching leather upholstered side chairs and armchairs. All in Arts & Crafts style and pictured here, in the traditional interior dining room extension of our clients Dorset home. To see another view of this super room, click: Arts & Crafts style dining table & chairs in Dorset House.